Rinse and trim your asparagus spears, divide into 2 piles, top each with a tablespoon of butter and a generous helping of salt and pepper. Thinly slice a lemon and put a few rounds on each pile of asparagus. Add 1 or 2 ice cubes to each packet and wrap tightly in a foil envelope. Then wrap again with another layer of foil. 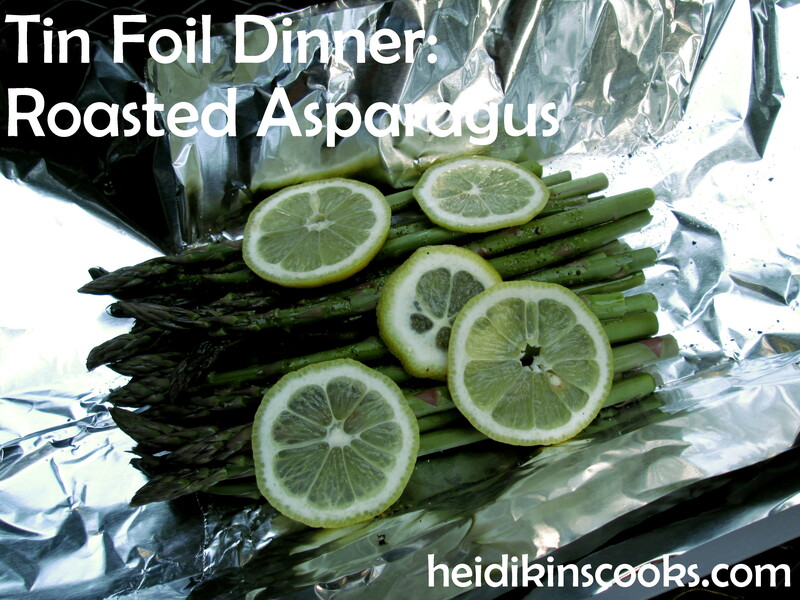 I have found the least leaky method is to fold the foil over your asparagus lengthwise, so you have a slightly open seam right down the center. Then grab both open ends, bring them together in the middle, and roll tightly down to the packet. Do this twice. Not only does it give you a little handle to grab out of the fire, your juices will stay very well contained as long as you don’t puncture the foil with your shovel or tongs or whatever. 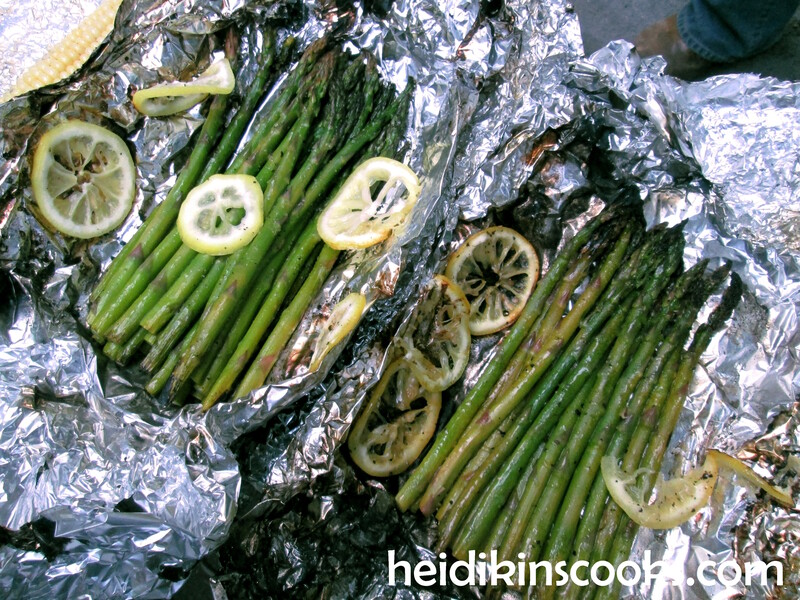 Place your asparagus packets on a pile of white coals and let cook for 15-20 minutes, turning over occasionally. The ice cubes will help keep your asparagus from charring.